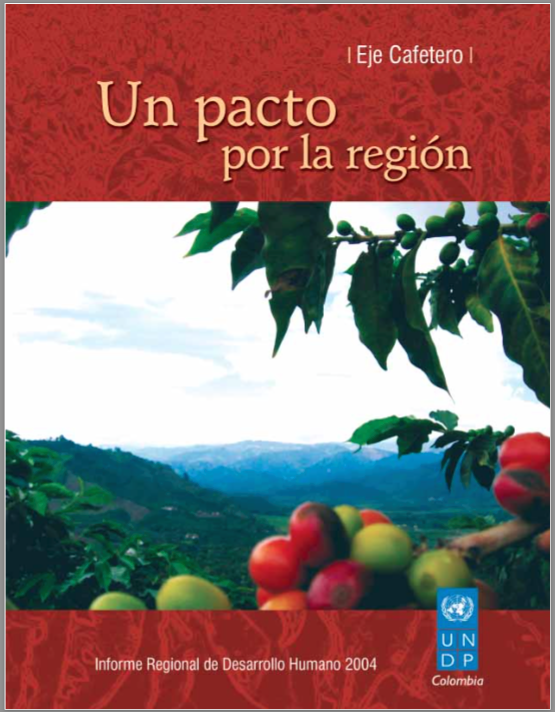 This publication, the first one done in the country for a region, presents an analysis of the human development conditions of the municipalities and departments of the Coffee Hub. Based on this analysis and the opinions gathered in surveys, interviews and workshops, the Report proposes a series of recommendations to neutralize the deterioration in regional human development, to take better advantage of the changing opportunities and strengths of the region. The report was made by the CRECE, the Risaralda Center for Socio-Economic Research (CIR) and the Center for Studies and Regional Research of the Universidad del Quindío (CEIR), under the responsibility of the United Nations Development Program (UNDP).